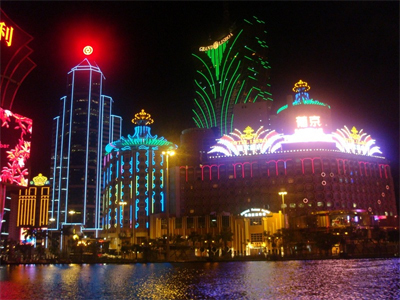 Anti-corruption policy of Chinese President Xi Jinping had a negative impact on the activity of casinos in Macao during the first half of 2015. The profits of the major casinos in the area, where gambling is legalized, declined from 40% to 3 billion in the first six months of the year against 5 billion in the same period of last year. After several years of booming growth, annual revenues have declined suddenly after the Beijing anti-corruption measures. The number of high rollers Chinese has significantly decreased while they were driving the growth of casinos a few years earlier. Galaxy Entertainment presented on Wednesday its results for the first half. The casino games revenue of that operator fell from 34% to HKD 25.4 billion. The Hong Kong billionaire Lui Che-woo said the results are quite satisfactory given the current situation in Macao. According to the Chairman of Galaxy Entertainment, the fall in income from its business is also related to the investment of HKD 3.2 billion for the extension of Galaxy casino in Macao. However, new centers of entertainment and shopping will help attract more customers. As VIP players from mainland China shunned Macao following the suppression of corruption, local government and operators are trying to expand their business to attract more visitors, not only players. The decline in results during this period affected also other operators in the sector like Melco Crown, MGM China, Sands China, SJM Holdings and Wynn Macau. This page has been viewed 1705 times.